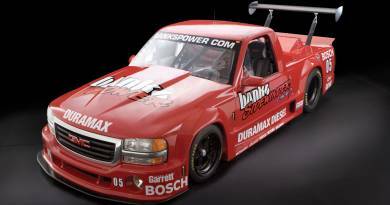 The World’s First Roadracing Diesel Truck is out of the Race Shop and on the track. 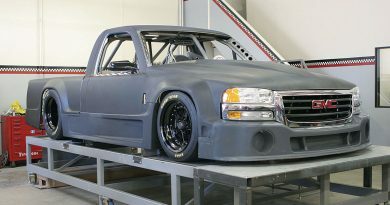 The Gale Banks Engineering Sidewinder GMC Sierra diesel-powered road race truck is getting close to its racing debut after a successful recent test session at Willow Springs Raceway. 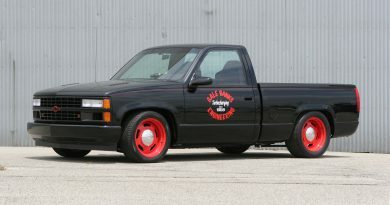 The Sidewinder GMC Sierra race truck, the brainchild of President Gale Banks, sports a Duramax diesel 6.6-liter engine and a host of Banks Power performance products. 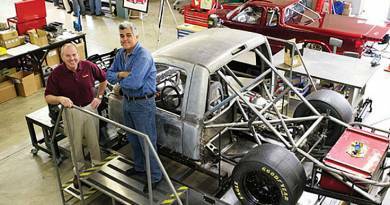 Master racecar builder and Banks Race Shop Manager Sheldon Tackett, along with race driver Bernard Juchli – manager of Jay Leno’s Big Dog Garage – spent three hours running the amazing race truck through its paces prior to the truck’s three hour endurance race debut set for April 8-9, 2006 in Buttonwillow, CA. 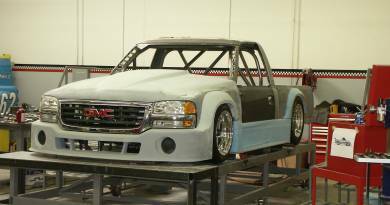 Gale Banks Engineering’s GMC Sierra, a twin-turbocharged, diesel-powered endurance road-racing pickup truck, will compete in the Super Unlimited class of the National Auto Sport Association—NASA race series. 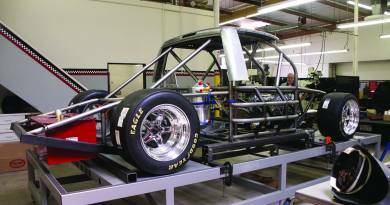 The road racing truck features a GMC Sierra pickup truck body mounted to a full-tube chassis. 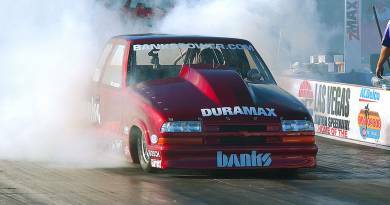 Power comes from a highly—modified Banks twin-turbocharged General Motors 6.6-liter Duramax LLY diesel engine. 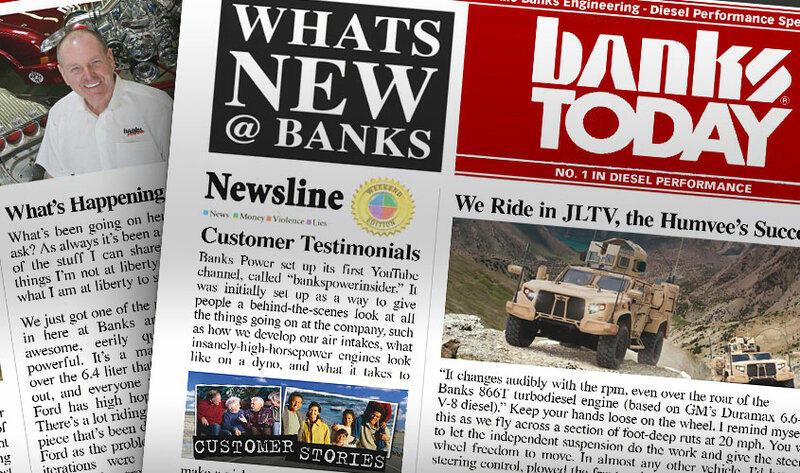 Beyond that, the DGMC Sierra will weigh in at virtually the same weight as the Corvettes that run these events. However, the pickup will have far more torque and better fuel economy than its gasoline counterparts. The GMC Sierra has been designed with the engine offset and setback to achieve a 50/50 weight balance both side-to-side and front-to-rear, like the best endurance road racing cars.  The Banks/Duramax racing engine has a power goal limited to 650 bhp with 800 lb.-ft. of torque, and is targeted to run at engine speeds as high as 5,000 rpm – incredible for a diesel engine. 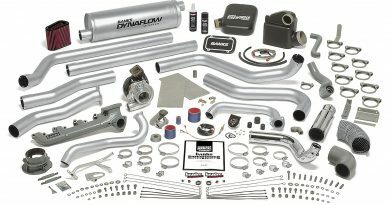 Although the Banks/Duramax race engine has demonstrated much higher power numbers on the dyno, Banks is limiting the power to avoid mechanical attrition and help save drivetrain components. The GMC Sierra is another in a string of racing vehicles created to display both Banks high engineering standards for the creation of all its products and the innovative nature of the company as a whole. Just as the Banks Dakota Sidewinder, which still holds Bonneville land speed records, including the world’s fastest pick-up, proved that diesel can break stereotypes for diesel performance, the GMC Sierra represents a significant part of Gale Banks, General Motors Drivetrain, Robert Bosch Corp., Garrett Turbocharger a Division of Honeywell’s collective mission to show the merits of diesel as an all encompassing fuel. The Sidewinder GMC Sierra’s turbo diesel engine will be more fuel-efficient than its gasoline-powered rivals and produce lower pollutants, including none of the familiar diesel smoke. It should prove to be a fierce competitor. The recent test session with the GMC Sierra has proven that the race truck is ready for competition. Upgrades to a G-Force five-speed transmission and Winters quick change rear end have proven successful in placing the gearing in the perfect place to take advantage of the Duramax engine’s best power and torque. 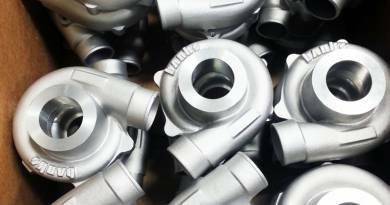 In addition recent challenges posed by the steering system have been remedied as proven by these same recent testing sessions. Sidewinder Type-R: Ready to Race! or Ready to Race?